Located in Detroit, Michigan, it was the former home of the Detroit Tigers MLB team. Opened in 1912 at a cost of $300,000, it had a capacity of 52,416. 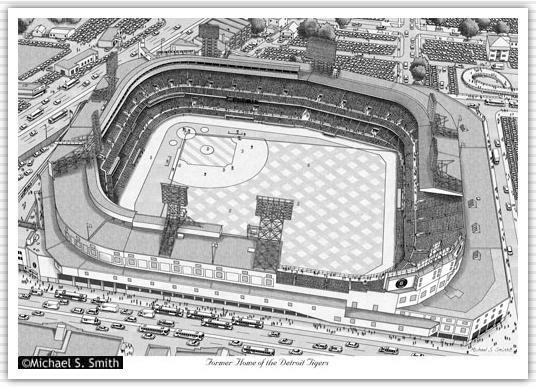 Former names include Navin Field (1912-1937) and Briggs Stadium (1938-1960). It was demolished in 2009 well after the team moved to their new home Comerica Park in 2000.